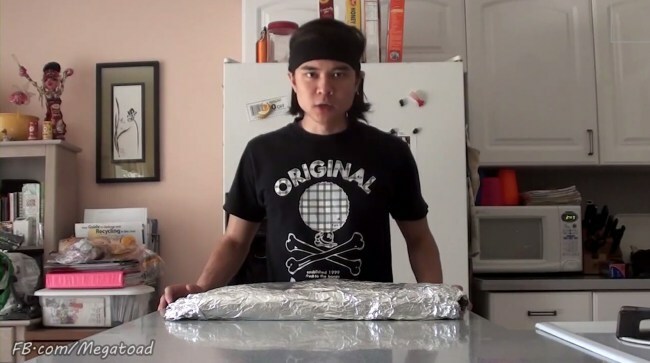 We’re a little worried about Matt Stonie’s digestive system, but not enough to not go bonkers over his latest video. 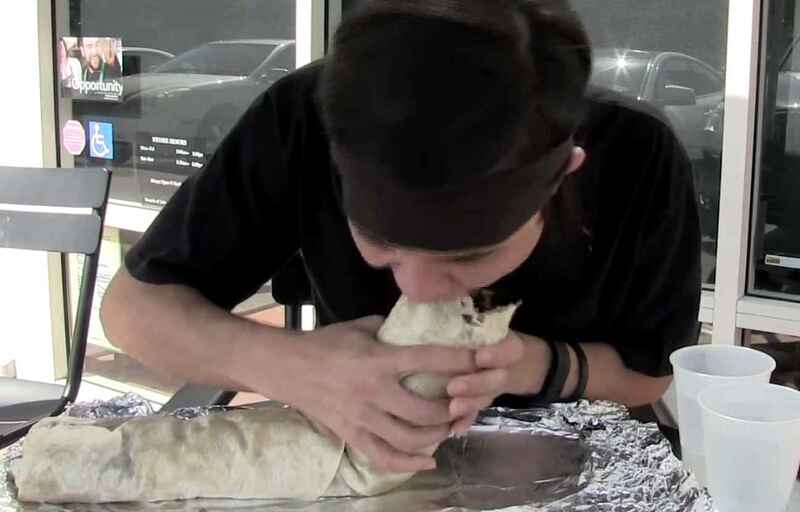 In it, the competitive eating champ downs the biggest burrito we’ve even seen in under 2 minutes. That’s 18 inches of burrito, to be exact. Stonie has achieved notoriety for his amazing/insane eating challenges. Earlier this year, he finished seven McDonald’s Shamrock Shakes in a matter of minutes and set the record for bacon-eating with 182 slices in 5 minutes. He also ate four Chipotle burritos in one sitting last year.